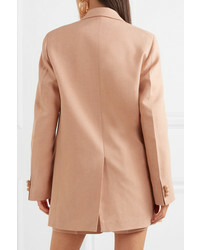 This pairing of a tan blazer and blue skinny jeans is incredibly stylish and yet it looks relaxed and apt for anything. Dress up this ensemble with tan leather heeled sandals. A Joseph Darius Oversized Canvas Blazer from NET-A-PORTER.COM and a light blue pleated mini skirt will add extra style to your day-to-day off-duty lineup. Introduce black leather heeled sandals to the equation to completely jazz up the ensemble. If you're hunting for a casual yet stylish look, pair a Joseph darius oversized canvas blazer with black leather shorts. Both items are totally comfy and will look fabulous together. Sporting a pair of tan leather pumps is a simple way to add some flair to your outfit. Consider pairing a Joseph Darius Oversized Canvas Blazer from NET-A-PORTER.COM with navy and green plaid skinny pants to put together an everyday getup that's full of style and character. When this look is just too much, play it down by wearing a pair of black suede ballerina shoes. For a look that's classy and totally envy-worthy, consider teaming a Joseph Darius Oversized Canvas Blazer with tan wide leg pants. Rounding off with a pair of black and white leather low top sneakers is a fail-safe way to add a dose of stylish effortlessness to your outfit. 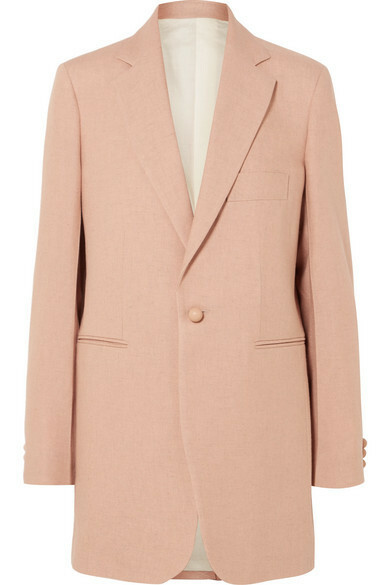 If you're on the lookout for a casual yet chic outfit, opt for a Joseph darius oversized canvas blazer from NET-A-PORTER.COM and olive chinos. Both items are totally comfy and will look fabulous together. Got bored with this outfit? Enter tan leather pumps to jazz things up. 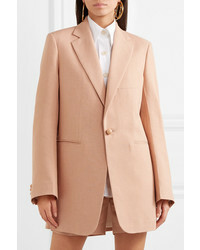 If you're in search of a casual yet totally chic outfit, pair a Joseph darius oversized canvas blazer from NET-A-PORTER.COM with a white lace sheath dress. Both pieces are totally comfy and will look fabulous paired together. Demonstrate your refined self by opting for a Joseph tan blazer and khaki dress pants. On the footwear front, this look is rounded off nicely with grey snake leather pumps. Reach for a Joseph Darius Oversized Canvas Blazer and white tapered pants to create a chic outfit. In the shoe department, go for something on the laid-back end of the spectrum and round off your outfit with a pair of white leather wedge pumps.